Built upon a foundation of clinical proof, high dermatological standards and honest skin science, Eucerin has been creating effective and protective skincare for over 100 years. Their holistic ‘cos-medical’ approach to the care of skin combines effectiveness with superior skin tolerability, ensuring healthy radiance that is maintained over time. The product range suitable for all complexions, even very sensitive, providing effective, protective skincare that targets specific skin concerns. 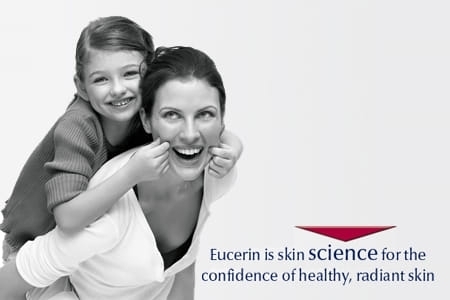 Eucerin: Skin Science That Shows.